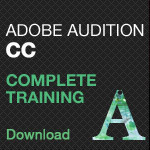 Master trainer, Larry Jordan announces brand-new, comprehensive Adobe® Audition® CC video training, developed to help video editors improve the sound of their projects by improving the quality of their sound. By ignoring audio, which video editors often do, the power of the project is diminished. In this training, I’ve focused on providing a clear foundation of audio basics. Larry Jordan, known world-wide for his in-depth Apple and Adobe training, is delighted to announce complete video training for the brand-new Adobe® Audition® CC - the ideal software tool for video editors looking to repair poor audio, as well as edit and mix complex projects. Video engages the mind. Audio captures the heart. The best way to improve the quality of your pictures is to improve the quality of your sound. 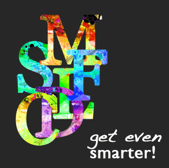 And nothing does that better than Adobe® Audition® CC. Whether you edit with Adobe Premiere Pro, Apple Final Cut Pro, Avid Media Composer, or other video editing software, you can use Adobe® Audition® CC for your projects. Adobe® Audition® CC allows users to create and deliver beautiful audio using more connected tools and dozens of new features, including Sound Remover, the ITU Loudness Radar, improved repair and editing tools, and much more. Join training guru, Larry Jordan, as he showcases the latest Creative Cloud version of this rock-solid audio powerhouse. The training can be used by both beginning and experienced audio editors and is filled with step-by-step techniques, shortcuts, secrets and solid advice that you can put to work immediately. The training consists of 84 QuickTime movies in HD, containing more than seven hours of detailed, step-by-step video training, organized into twelve subject-matter chapters. This new title is available immediately as a download or a DVD at a retail price of $49. 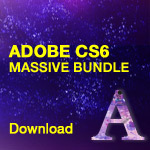 This training complements Jordan’s extensive Adobe CS6 training, already available for purchase in his store and or accessible on his subscription service. Adobe® Audition® CC gives you access to new features as soon as they're released and is integrated with other Adobe video tools for smooth, start-to-finish audio and video production. And as part of the Creative Cloud, Adobe® Audition® does more to make your entire creative process seamless, intuitive, and more connected. Get it as a single-app membership or with a Creative Cloud complete membership, which also includes every other creative tool. Larry Jordan is an internationally renowned consultant and digital media analyst with over 35 years' experience as a television producer, director and editor with national broadcast and corporate credits. 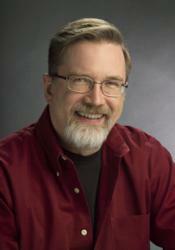 He is the foremost trainer in Apple Final Cut Pro and Adobe Premiere Pro. His informative and entertaining teaching style provides video editors around the world with unique resources to increase productivity and enhance their skills. Based in Los Angeles, he's a member of both the Directors Guild of America and the Producers Guild of America. Jordan writes and edits the free weekly ‘Larry Jordan Newsletter,’ which provides essential information to the interested user of non-linear editing software. He is the author of hundreds of hours of online training and eight books including "Final Cut Pro X: Making the Transition" and the newly released, "Adobe Premiere Pro Power Tips: Secrets, Shortcuts, and Techniques." Jordan is on the faculty at both USC and Video Symphony. Jordan is also executive producer and host of the weekly interactive internet radio show and podcast, Digital Production BuZZ, providing everything you need to know about digital media, production, post-production and distribution (http://www.digitalproductionbuzz.com). For more information about Larry Jordan, please visit http://www.larryjordan.biz. Adobe Audition CC DigitalProductionBuZZ.com What you don't know can hurt you. Learn with Larry Jordan.